As a Melburnian I appreciate the value of a good umbrella, but realise that the tiresome old model is in drastic need of an update. So here it is. An umbrella that you can hold while texting or pushing the pram, or both. Just a simple design twist makes such a big difference. 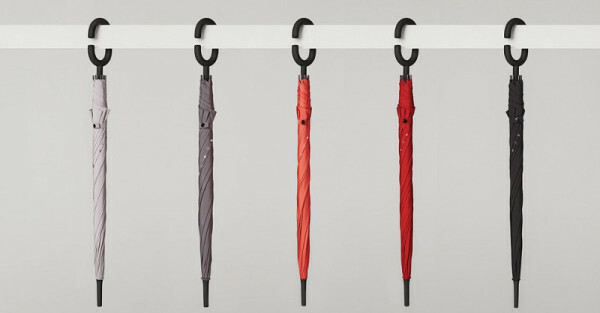 Korean company KT Design have turned the handle of the humble umbrella into a c-shape, eliminating the need for holding as the umbrella can rest on the user’s wrist. This leaves you with two hands free! Many times this winter I have found myself struggling down the street, steering the pram with one hand, grasping the umbrella with my other hand, then my phone rings – ugh! A Phone-brella would save so much frustration. 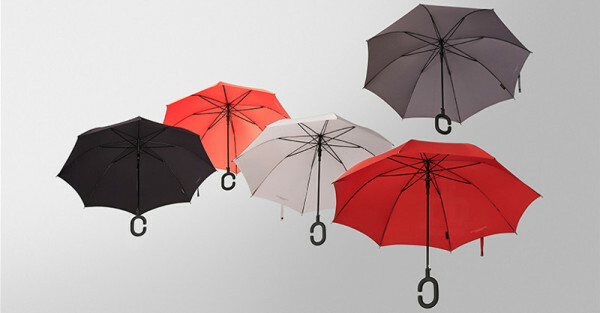 It comes in five gorgeous colours: Classic Grey, Smokey Gray, Blossom Red, Royal Red, and Chic Black. Of course, the Phone-brella was originally designed to allow for easier mobile phone use in the rain, but we couldn’t help noticing the benefits for parents who could always use another hand free. Two hands to steer the pram while holding an umbrella is just straight up genius. 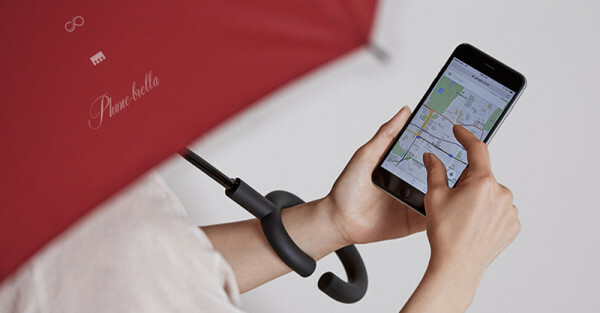 The Phone-brella is currently only available as a limited edition gift to customers of the Korean telecom company KT. But this new design is making such a splash that it is sure to be more widely available soon. Keep checking in with our gadgets section and we will be sure to let you know when you can grab a Phone-brella for your own.